Long, long ago, two dinosaurs died apparently locked in a battle on the plains of modern-day Montana. Today, a battle over who owns the entangled fossil has turned into a multimillion-dollar issue. The outcome hinges on the legal definition of what constitutes a “mineral.” The Dueling Dinosaurs fossil is valued between $7 and $9 million. At the time of the sale, neither party suspected that there were valuable fossils buried on the ranch. But a few months later, an amateur paleontologist discovered the remains of the carnivore and herbivore grappling. When the Seversons heard about the find in 2008, they sought to lay partial claim to the fossilized remains. The Murrays also asked for a court order giving them ownership. If the private battle wasn’t enough, scientists want a voice in it too. By law, fossils found on private property can be privately owned. Paleontologists claim that vast historical resources then are unavailable for research. They say science is hampered by granting private ownership rights for ancient remains. In 2016, a judge ruled that the fossil did not qualify as a mineral resource. U.S. District Judge Susan Watters of Billings said it wasn’t the composition of minerals that had value. Gold, for instance, is always valuable whether it is in the ground or shaped into coins or jewelry. But the fossil was valuable not for its makeup but for other characteristics: the species of dinosaurs represented, the circumstances at the time the creatures died, the preservation of the historical event. The Seversons weren’t happy with Judge Watters’ decision. They appealed. A second court sided with them in a split decision in early November. Two of three judges on the 9th U.S. Circuit Court of Appeals ruled that the Dueling Dinosaurs are minerals, both scientifically and under mineral rights laws. If that decision holds, the brothers will be entitled to two-thirds of all proceeds from the sale of any fossils found on the site. A nearly complete Tyrannosaurus rex fossil unearthed there sold for several million dollars in 2014. The funds have been held in a bank ever since—waiting for a final court decision about who the money goes to. Attorneys for the Murrays say they plan to ask for yet another hearing. One of two "dueling dinosaur" fossils is displayed. 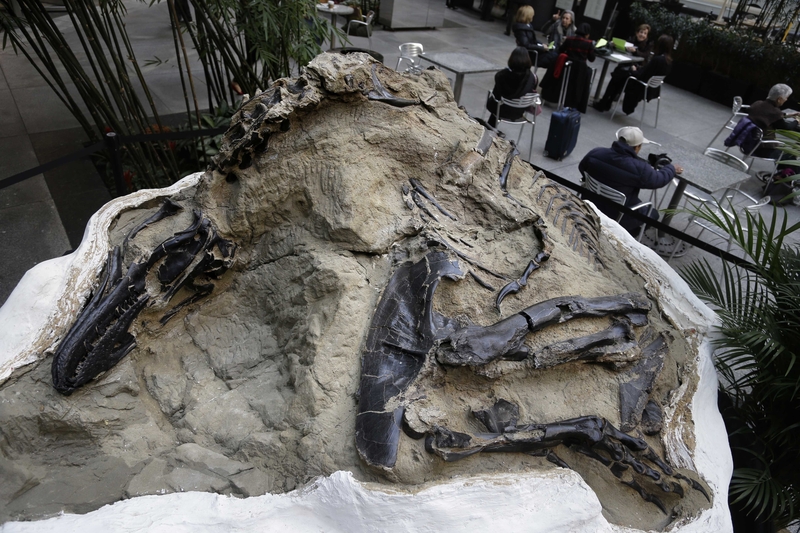 The fossilized dinosaur skeletons were found on a Montana ranch in 2006. China is amassing huge amounts of data on its 1.4 billion citizens. Havasu Falls is on many people’s must-see lists. Wow! I would love to see those fossils. Why can't they just put the fossils in a museum, have the museum pay both people evenly, and give them both credit? Because I'm not sure which side is right. Our family used to live in Indiana about 7 years ago, but we moved when I was around 6 to Ohio. Wow, I would be really upset if I thought I owned that fossil that could get me millions of dollars and then the court rules that it's not actually mine. what if you were a dinosaur, fighting with another dinosaur, and then you both dropped dead? how weird would that be? Wow, great time to fight dinosaurs right when the flood was happening. I would also love to seethe fossil i et that 2 diosaurs still in battle is a pretty cool fossil to see or find. Well who do you all think should get it? Do you think dinosaur bones are counted as mineral rights? It's like if you found a chest of gold buried under your house- its gold, in the ground, so it should count under mineral rights. But it's not just minerals that you mine, so it shouldn't count under mineral rights. If you want, just say that you're for either side. It'll be interesting to see which side wins! I hope they judge wisely. The land rights are kind of weird in this case. I hope that justice is served. 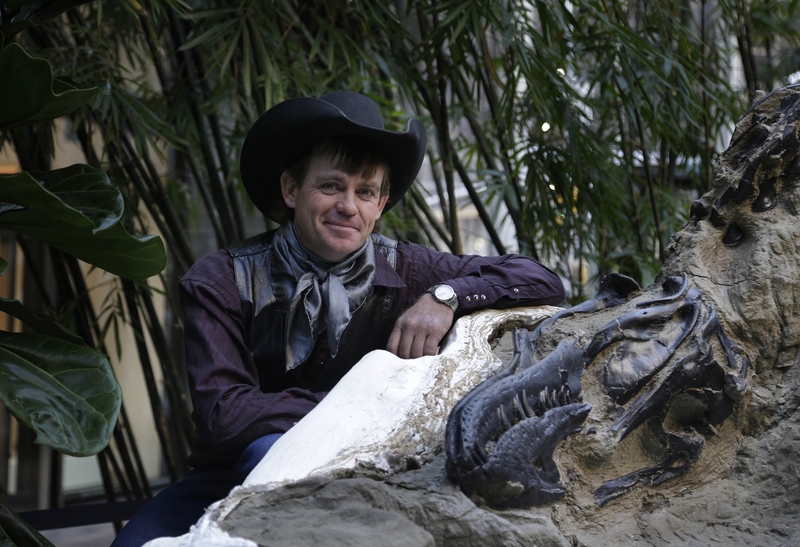 Imagine having dinosaur fossils in your backyard... Jurassic World anyone? Law 'n Order After you've read all of the stories in the March/April Law 'n Order section, take the quiz and test your knowledge.